This year was the first annual Downtown St. Cloud Walk About. St. Germain street was closed down to vehicles and opened up to foot traffic. 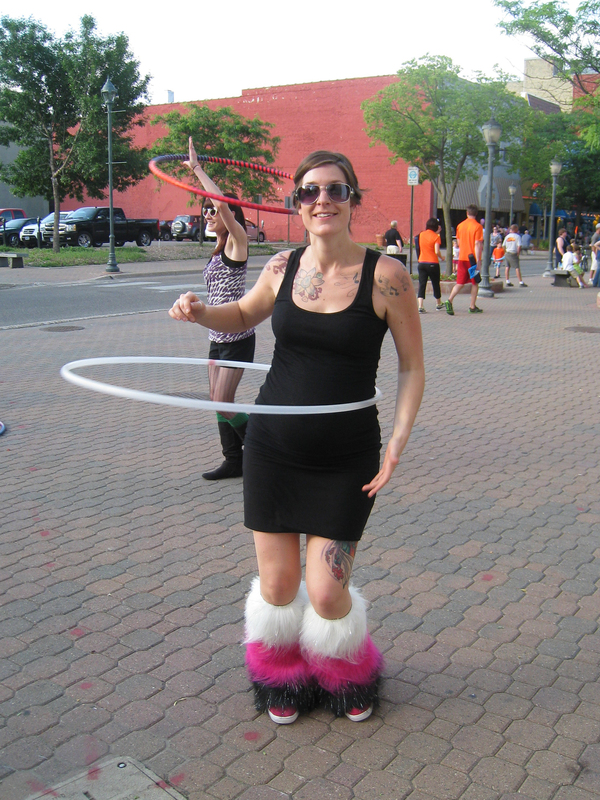 The event was organized to encourage physical activity and to get people into the downtown area. 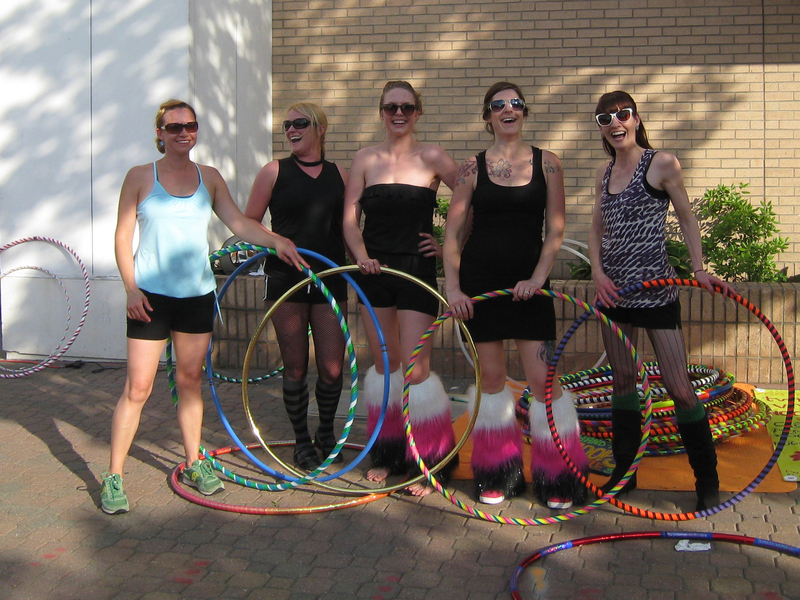 We were invited to come down with our hoops and invited our most dedicated hooper friends to join us. 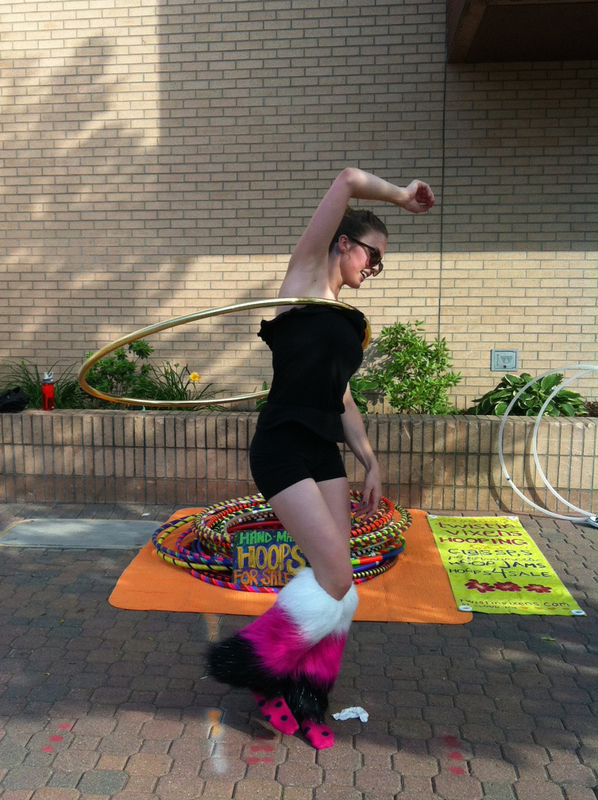 We had lots of success getting people who were passing by to stop and give the hoops a spin. The event had a great turnout. 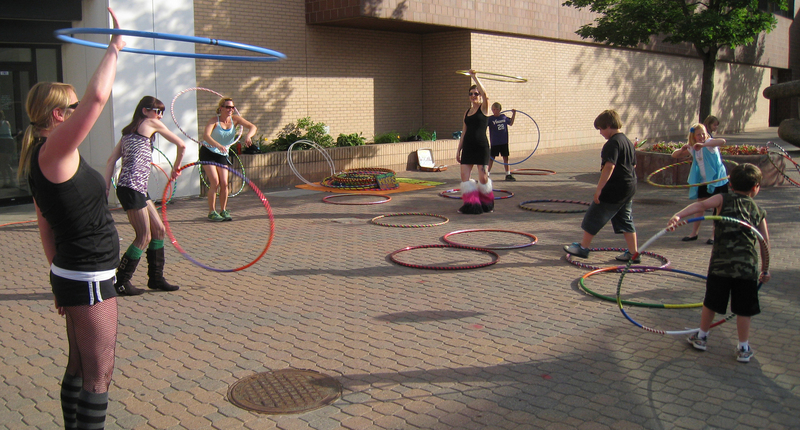 That’s a pretty awesome amount of hoops!